Since the best-selling Guinness World Records book was first published in 1955, it has sold more than 138 million copies in over 100 countries, and has been translated into at least 20 languages. 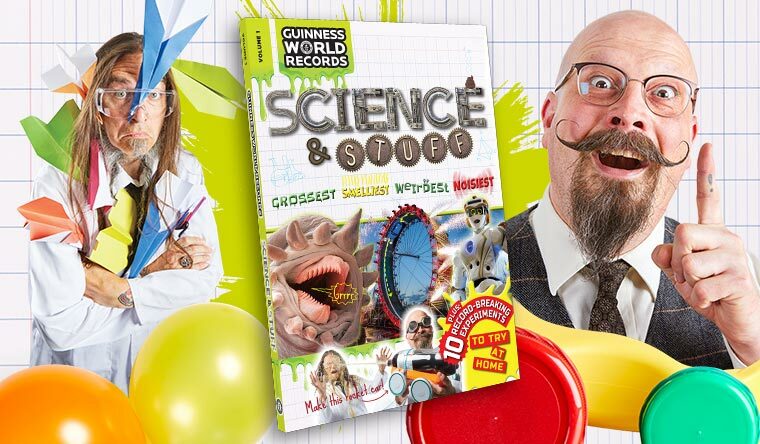 The Guinness World Records books are back! The 2019 annual is crammed with everything from sporting achievements and scientific discoveries to the latest chart toppers and digital TV releases. Our special chapters celebrate such as "Making History" (record-breaking landmarks in LEGO®) creativity on an enormous scale and anyone keen to break a record of their own can turn to the "Do Try This At Home" bonus section. We also bring you the 12th Gamer’s Edition, which is bursting with amazing records, remarkable feats and marvellous achievements while Guinness World Records: Wild Things reveals the best of the beasts! From gentle giants to killer bugs, powerful predators to cunning prey, and backyard wildlife to species on the brink.